Centuries ago, most households had salt boxes. They were a symbol of hospitality and a sign of a comfortable home. 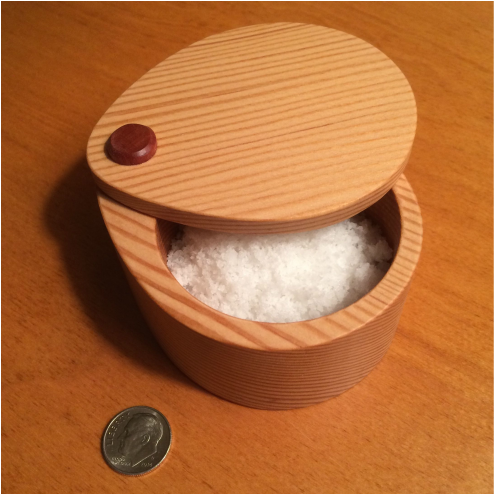 Salt boxes are back, along with wonderful specialty salts. 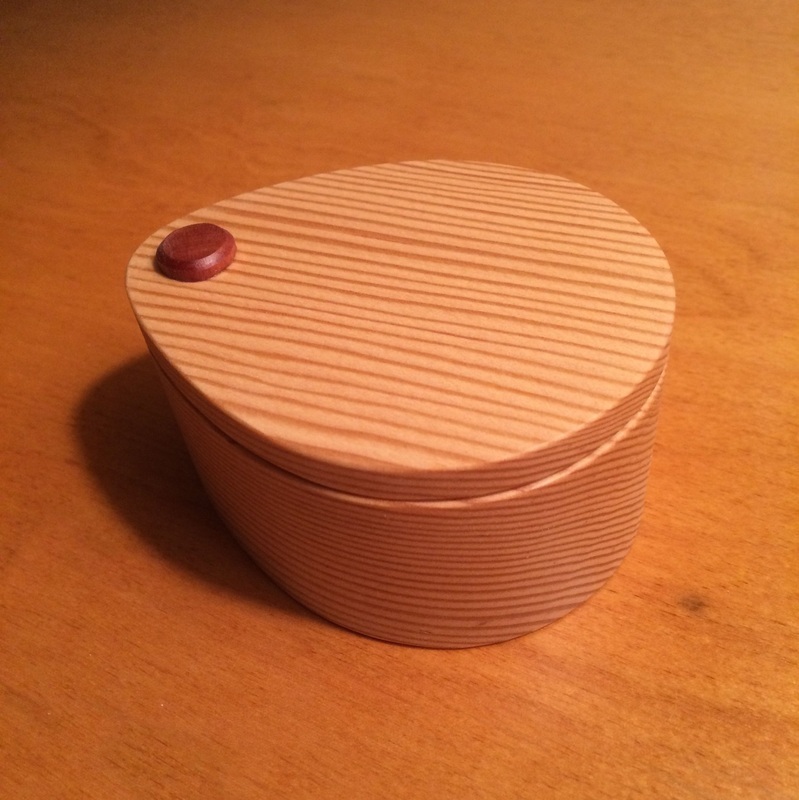 My salt boxes are made of the local woods that I see every day here in the Pacific Northwest - Douglas fir and Pacific madrone (the button on the top). The sliding lid provides easy access while the compact size fits easily on the counter next to the stove top. Or add a handcrafted spoon, place it on your dining table, and let your family and friends enjoy the look and feel of finely finished wood and of course, the flavor of your personally-selected finishing salt. Also available: Northwest Salt for your Northwest Salt Box. 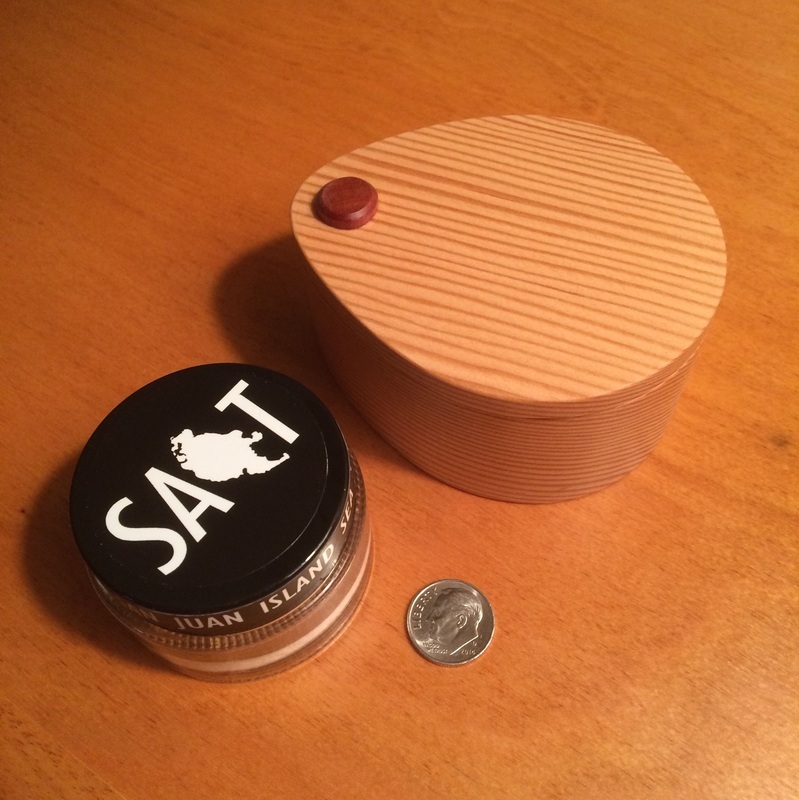 1 oz jar of San Juan Island Sea Salt, made from the Salish Sea waters in Washington State. On Etsy, select this option in the Style option at the top right just below quantity. 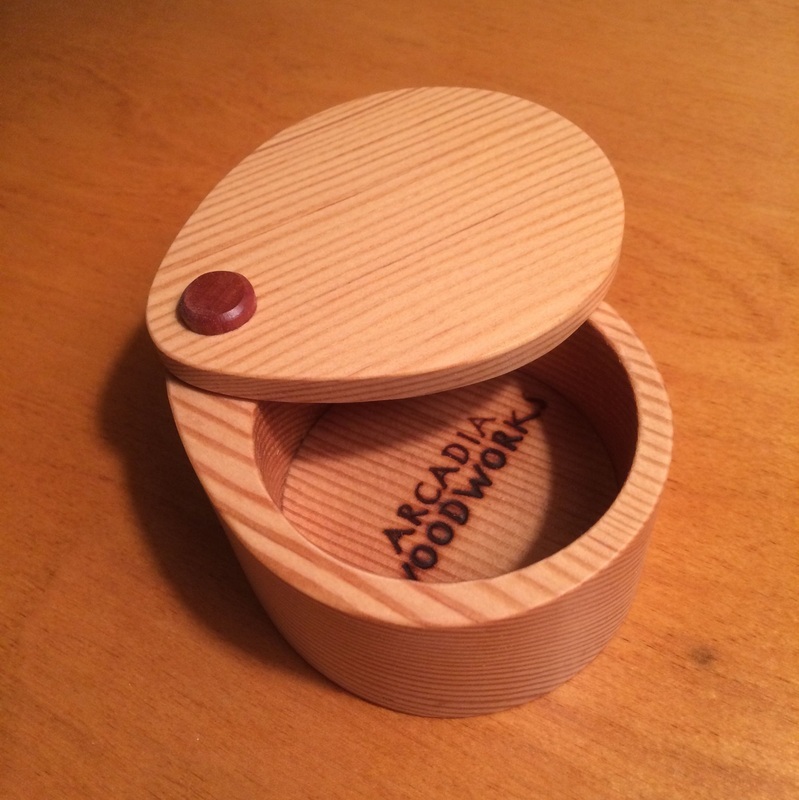 If you wish to order a Salt Box along with a Book-Stool or Book-Stand, call Charlie at (360) 229-3602.